The GTA today invited the governor to inaugurate two college buildings in the hills and address a session of the GTA Sabha at a time the hill body's relations with the chief minister have touched an all-time low. 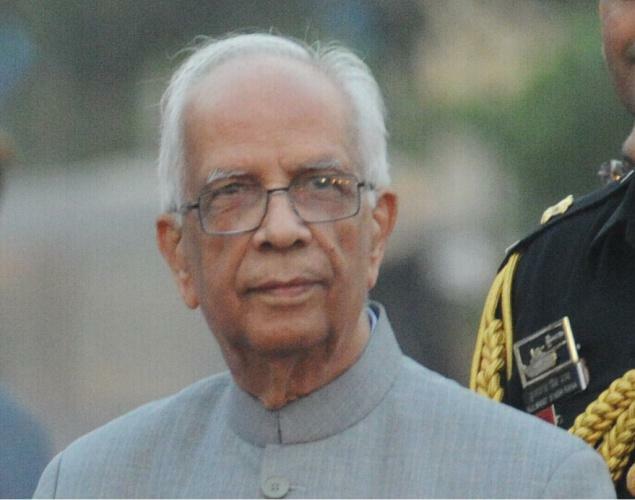 A four-member delegation of the Gorkha Janmukti Morcha called on governor Keshari Nath Tripathi at Raj Bhavan in Calcutta today and complained about the state government's alleged non-co-operation with the GTA. Speaking over the phone from Calcutta, Morcha general secretary and GTA executive sabha member Roshan Giri, who led the team, said: "We have requested the governor to inaugurate the buildings of Mirik College and Bijanbari Degree College (built by the GTA). We have also appealed to him to address a GTA Sabha session in May. The governor has asked us to send him formal invitation letters." The GTA's tentative plan is to invite the governor to inaugurate the college buildings on February 28. Morcha Study Forum member Swaraj Thapa, former Kurseong MLA Rohit Sharma and GTA executive sabha member R.B. Bhujel were in the delegation. The Morcha also complained to the governor against the state government's alleged apathy towards the hill body. "Following the devastation caused in the hills by the earthquake and landslides last year, we had submitted an estimate of Rs 925 crore to the Centre. The Centre has released Rs 1,500 crore to the state disaster relief fund but we have not been given a single penny. We are unable to undertake even rehabilitation work in the hills," Giri said. The Morcha leader also said that for Rs 55-crore drinking water schemes launched by the GTA, the government had only released Rs 28 crore. "As a result, we cannot complete the projects," said Giri. He added: "Although the government had issued a notification to transfer departments such as land and land reforms, public works, food and supplies, and fire and emergency services to the GTA, the order was not implemented and employees are still reporting to the district administration. We told the governor about the dual administration." The Morcha leader said the state had not allowed the GTA to function properly even three-and-a-half years after the hill body had come into existence. "We apprised the governor of all these issues as he is the constitutional head of the state and also administered oath to the chief executive of the GTA," said Giri. The hill leaders had a long list of complaints against the state government. "Ninety per cent of the GTA employees are temporary. How can a body function with majority of casual employees. Formation of bodies such as the school service commission, college service commission and sub-ordinate selection board for the GTA as have been agreed upon by the Centre and state has not yet happened. Voluntary teachers are being forced to run educational institutions," said Giri. GTA today invited the governor Keshari Nath Tripathi to inaugurate two college buildings in the hills and address a session of the GTA Sabha at a time, Roshan Giri, who led the team, said: "We have requested the governor to inaugurate the buildings of Mirik College and Bijanbari Degree College (built by the GTA).